Latest news and updates on Fail State, an investigative documentary on for-profit colleges, student loan debt, and American higher education. Executive produced by news legend and journalist Dan Rather. This Friday #FailStateMovie opens in San Francisco at the Roxie Theater and New York City at the Maysles Cinema. With our release just a few days away, the Fail State Team and I are honored to announce that we will be donating 100% of our San Francisco box office to the College Promise Campaign and 100% of our New York City box office to the Project on Predatory Student Lending. The College Promise Campaign is a national, nonpartisan organization working to address rising colleges costs and usher in free and universal community college for all Americans. The Project on Predatory Student Lending represents thousands of student loan borrowers across the country against predatory for-profit colleges and litigates landmark court cases to protect students and the American taxpayer. My team and I have worked closely with both organizations over the years, and this donation is a small gesture of our deep thanks for supporting us on our journey. It's our hope that FAIL STATE can shine a bright light on their important advocacy. We would also like to take a moment to thank our San Francisco co-host The Institute for College Access & Success for helping us bring Fail State to the SF Bay Area. We hope to see you at our SF and NYC openings later this week. We hope you watch this film and feel inspired to act. So many of our country's citizens and veterans are being preyed upon by predatory for-profit colleges and universities. This issue transcends red and blue politics and has never been more important. We need everyone to join the fight. Please watch and share the film with your friends and family. Thank you to all of you for your support over the years. FAIL STATE is available now! With our release just a few days away, the Fail State Team is honored to announce that we are donating 100% of our Los Angeles box office ticket proceeds to Veterans Education Success and the University of San Diego’s Veterans Legal Clinic. Both organizations are on the front lines combating predatory for-profit colleges, and they do incredible work for our nation's servicemembers and veterans. It's our hope that this film can shine a bright light on their tireless advocacy and put a stop to predatory for-profit colleges for good. We hope to see you at our release later this week! It's with great pride and honor to share news almost six years in the making. Today The Hollywood Reporter announced that Fail State will be released this fall in theaters in NY and LA, on iTunes, Amazon, Youtube, etc. via Gravitas Ventures in November, and broadcast to millions of people on the premium cable channel STARZ on December 17th, 2018. Mark your calendars! Check out the article HERE and watch the trailer below. WASHINGTON – Rep. Maxine Waters (D-Calif.) is starting off the school year with a message for current and prospective college students: Stay away from for-profit colleges. Waters spoke at a panel discussion this week after a showing of FAIL STATE, a documentary that explores how some for-profit colleges trick students into taking on insurmountable debt and enrolling in degree programs that will result in few to no job prospects. 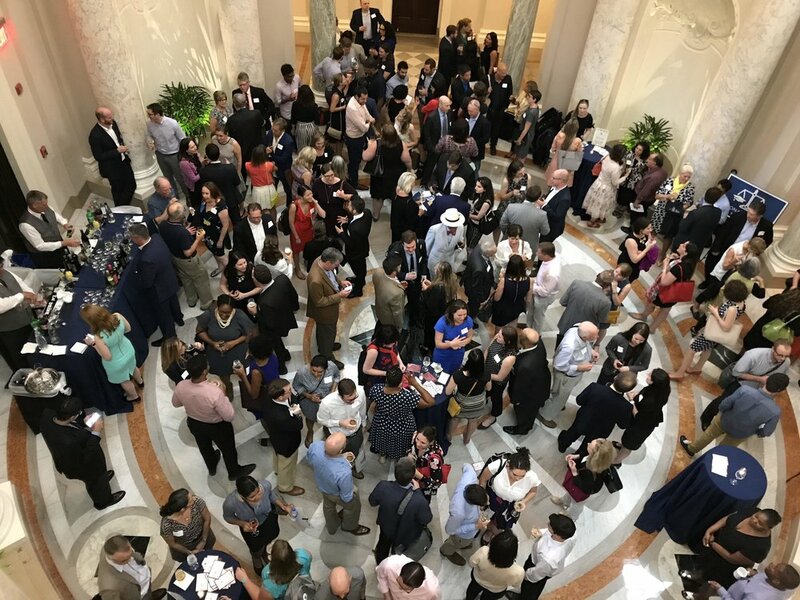 9/4/18 - Fail State premieres in Washington! Fail State premiered to a packed house at the Carnegie Institution for Science tonight! AFT President Randi Weingarten introduced the event. 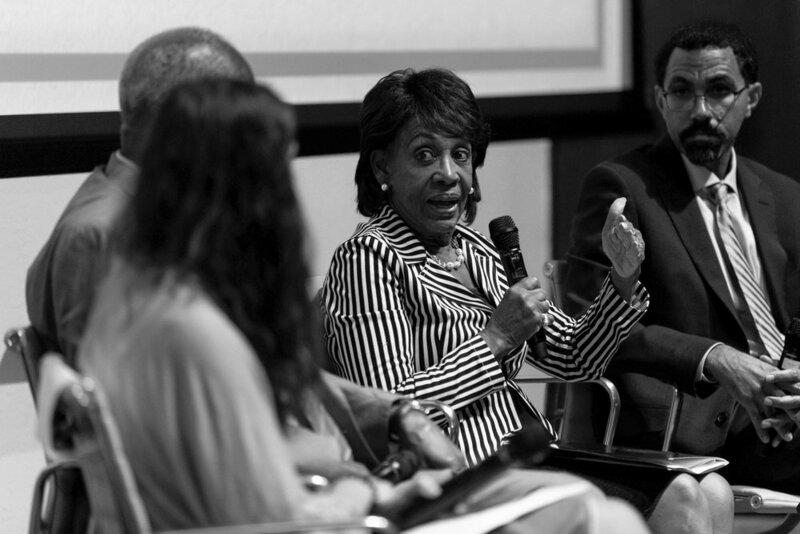 Following the screening, MarketWatch reporter Jillian Berman moderated a stellar panel with Rep. Maxine Waters, former U.S. Secretary of Education John King, Civil Rights leader Wade Henderson, and Director Alex Shebanow. 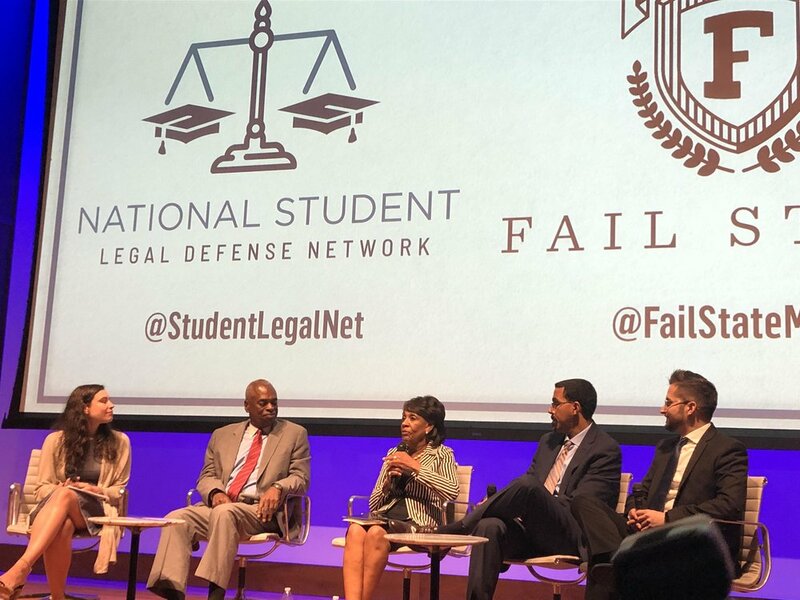 The Fail State team would like to thank the National Student Legal Defense Network for hosting our premiere. This event was one for the ages! 8/30/18 - Special Guests at Washington D.C. Premiere next week! Next week the National Student Legal Defense Network hosts Fail State in Washington, D.C.
Special Introduction by AFT President Randi Weingarten. Post-screening panel with Rep. Maxine Waters, former U.S. Secretary of Education John King, Civil Rights leader Wade Henderson, Director Alex Shebanow, and moderated by MarketWatch reporter Jillian Berman. 8/26/18 - Fail State wins the Audience Award for Best Film at MNFF! We're honored and thrilled to announce that Fail State won the Audience Award for Best Feature Film at the Middlebury New Filmmakers Festival. Thank you for this incredible recognition, Vermont and the Middlebury Film Festival. We're over-the-moon! We can't wait to have this film out later this year. More exciting news soon. 8/15/18 - Fail State Premiere in Washington D.C.
We're thrilled to announce that the National Student Legal Defense Network is hosting the Washington D.C. premiere of Fail State on September 4th. Post-screening panel with Former U.S. Secretary of Education John King, Director Alex Shebanow, and other special guests. See the film before the rest of the country sees it later this year. Columbus! 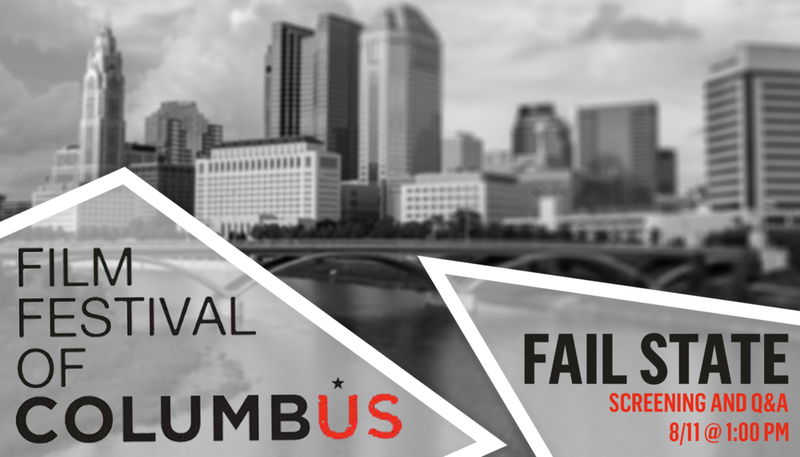 Fail State is screening this weekend at the Film Festival of Columbus! Saturday, 1 PM — Gateway Film Center. Director Alex Shebanow in attendance. 8/6/18 - Fail State wins the Jury Prize at San Antonio FF! This past weekend Fail State was awarded the Jury Prize for Best Historical Feature Documentary at the San Antonio Film Festival. The Fail State Team is honored to accept this award. We can't wait to bring this film out to the public later this year. "'The level of harm that is being done on students is just staggering,' said filmmaker Shebanow. 'If for-profit [colleges] had done what they said they were doing, we wouldn’t have to make this film.'" Check out the latest article in The Hechinger Report on Fail State. And be sure to follow our friends at Veterans Education Success who do incredible work advocating on behalf of defrauded veterans. We're excited and honored to announce that Fail State is coming to Prescott, AZ for the 9th annual Prescott Film Festival & Monthly Series. Q&A with director Alex Shebanow. 5/24/18 - Fail State is coming back to NYC for BFF! We're coming back to NYC! The Fail State team is thrilled to announce that Fail State is screening at the Brooklyn Film Festival. Two screenings! Saturday, June 2nd @ 8 PM and Tuesday, June 5th @ 8 PM. We're going to Nashville! We're excited and honored to announce that Fail State is screening at the prestigious Nashville Film Festival! Director Alex Shebanow in attendance with special guests. Thursday, May 17th at 6:30 PM. 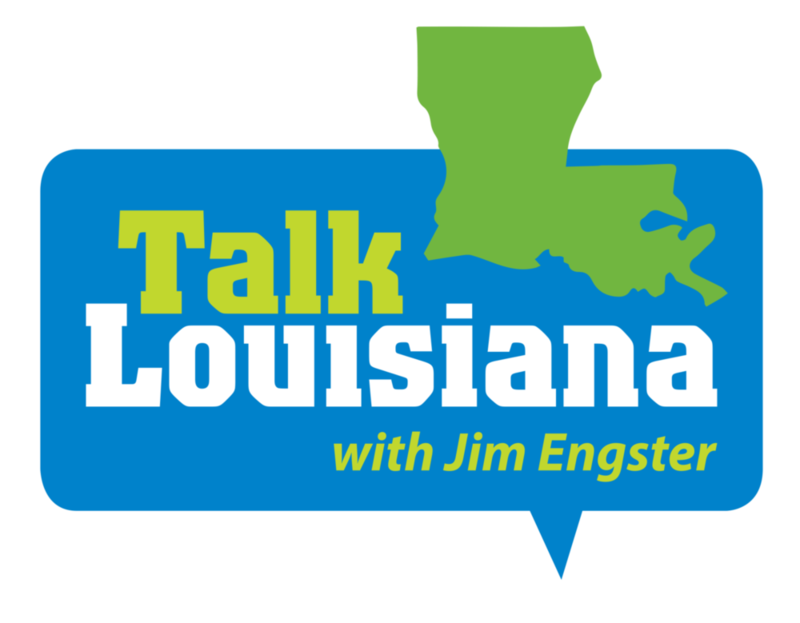 "LSU President King Alexander and Director Alexander Shebanow on the film “Fail State” which is showing this week at the Louisiana International Film Festival." 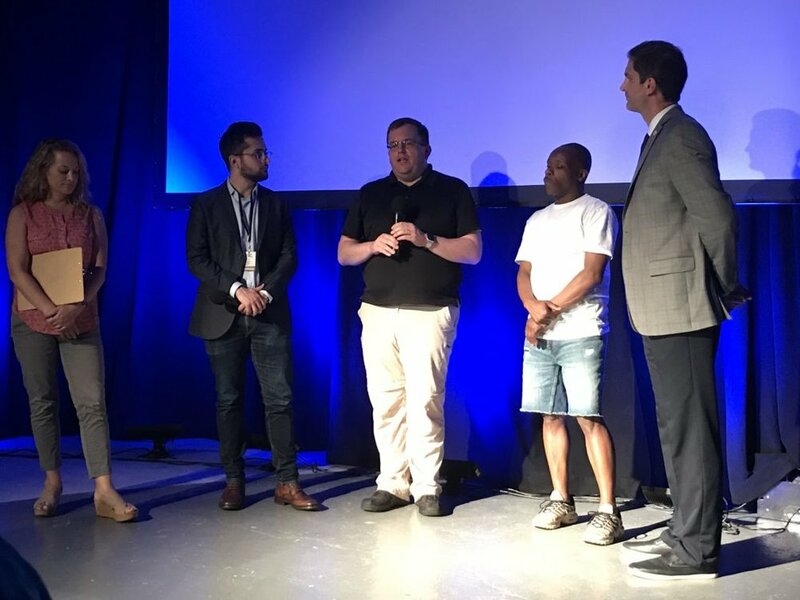 "The film "Fail State" kicks off the 2018 Louisiana International Film Festival... Here's my conversation with the director, Alex Shebanow. If you want tickets to his film or any other, visit LIFilmFest.org"
Following the screening, LSU President King Alexander will moderate a panel on predatory for-profit colleges and inequality in higher education with Baton Rouge Community College Chancellor Littleton-Steib and Fail State director Alex Shebanow. 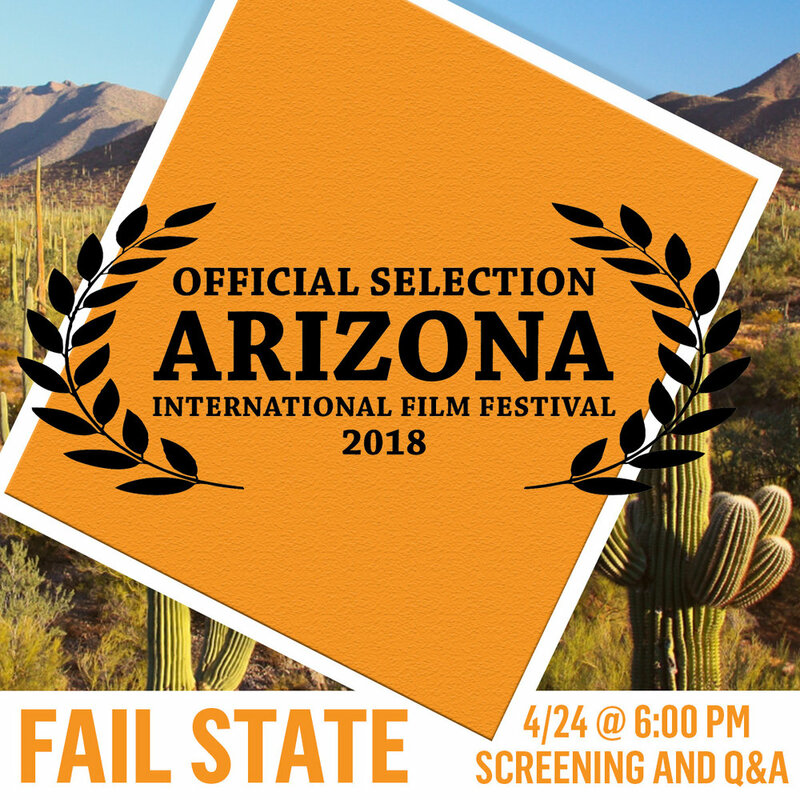 4/4/18 - Fail State accepted into Arizona International FF! We're honored to announce that Fail State has been selected for the 2018 Arizona International Film Festival. We can't wait to bring this film to Tucson later this month. Director Alex Shebanow in attendance! Cleveland! The explosive for-profit college documentary Fail State is coming to Cleveland International Film Festival this week. The film has three screenings starting Thursday and wrapping Sunday.